Date: 8.03.2018 | Psychedelic | Tags: Kabayun, Farebi Jalebi, Antonymous, Cosinus, Witchcraft, Anthill, Vertical, Delytic, Yab Yum, Ingrained Instincts, Virtual Light, Timecode, Sangoma | Download Kabayun - Noctis Labyrinthus (2018) for free. 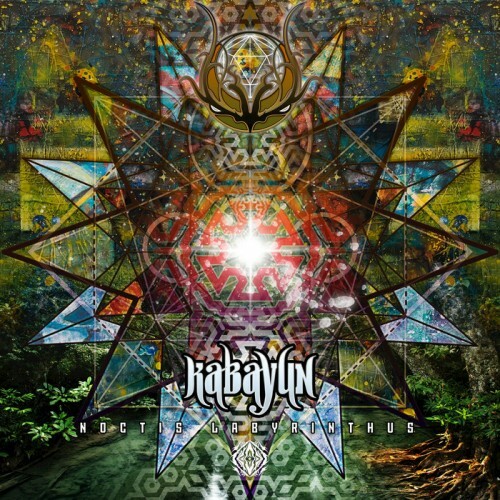 Sangoma Records proudly presents Kabayun's second artist album, Noctis Labyrinthus. Named after a region on Mars, the "labyrinth of the night" is a fitting title for these 10 carefully chosen tracks representing the range of Kabayun's diverse sound, from driving night full on to full power psychedelic forest. For this album David has gathered friends to do what he can do best - Blast. This release also features Kabayun remixes of Parvati artists Farebi Jalebi and Vertical, another fresh and rare tune by Ajja and Gaspard's project Yab Yum and a good dose of Greek specialties with Ingrained Instincts, Antonymous, Witchcraft (Drip Drop & Meander) and some homebred North American psychedelia with Delytic, Ninesense and Virtual Light. Rounded up and perfected by Scorb's mastering. This album proves why Kabayun is one of North Americas biggest psychedelic exports. Sangoma Records - Organic medicine for your ears.